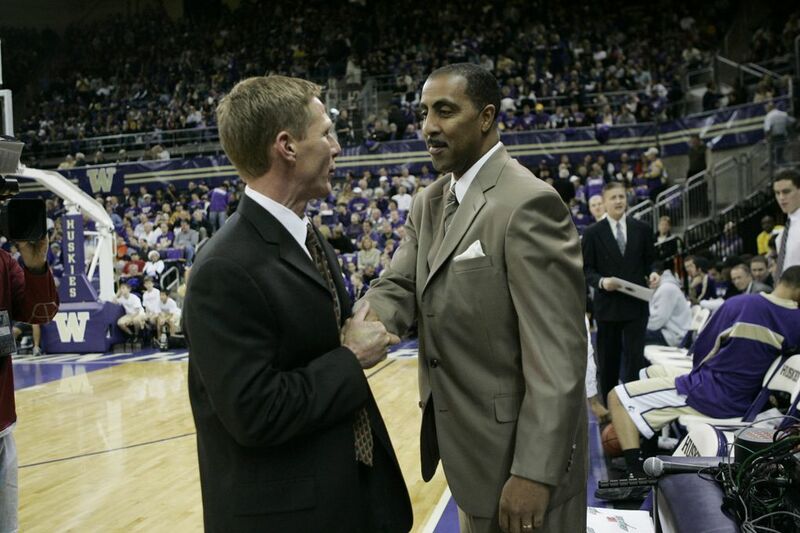 It wasn't all roses, but Lorenzo Romar elevated Husky basketball to new heights in his 15-year tenure at Washington. There were highs — "Cold blooded!" — and there were lows. These moments shaped the program. 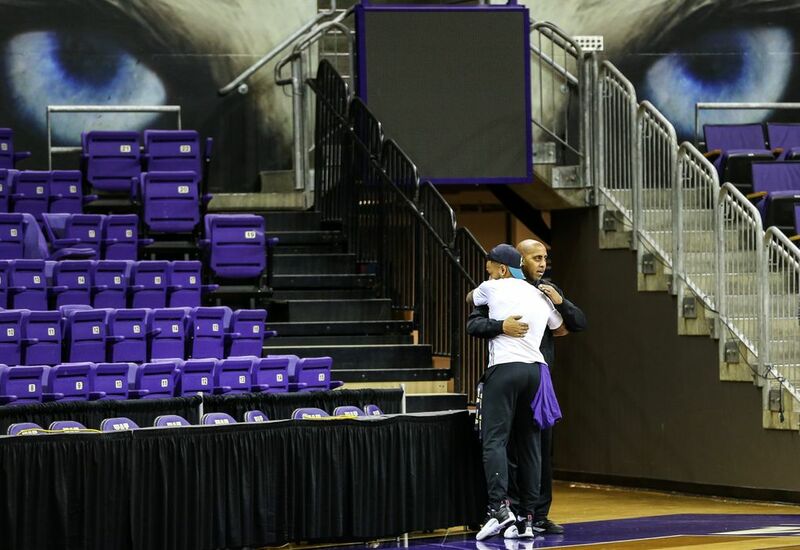 Isaiah Thomas drained a buzzer-beater in overtime to beat Arizona 77-75 and deliver a Pac-10 tournament championship game — the third conference tourney title for Romar. The next week, Washington falls 86-83 to North Carolina in the NCAA tournament East Region quarterfinals. 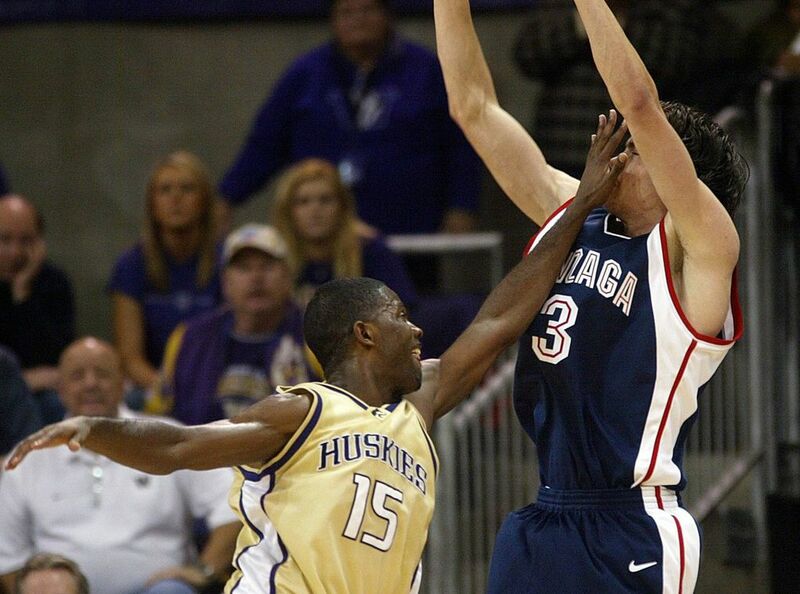 It was the start of a steady decline in Husky hoops. 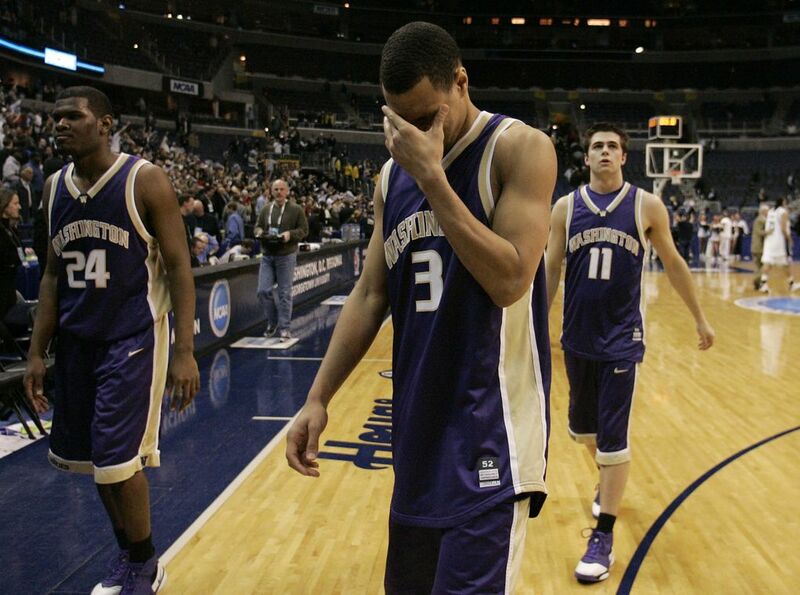 The 98-92 overtime defeat to Connecticut in the 2006 NCAA tournament Sweet 16 is possibly the most painful defeat Romar — and many UW fans — have ever felt. No. 16 Huskies beat cross-state rival Washington State 67-60 in the regular-season finale at Alaska Airlines Arena to capture their first outright conference title since 1953. Fans stormed the court after the game as UW players cut down the nets. In his final home game, Jon Brockman collected a career-high 18 rebounds. Despite winning the inaugural Pac-12 regular-season title, Washington made history on Selection Sunday and became the first conference winner at a Power Five school that was not included in the NCAA tournament. The Huskies (24-11, 14-4) finished in the NIT semifinals. 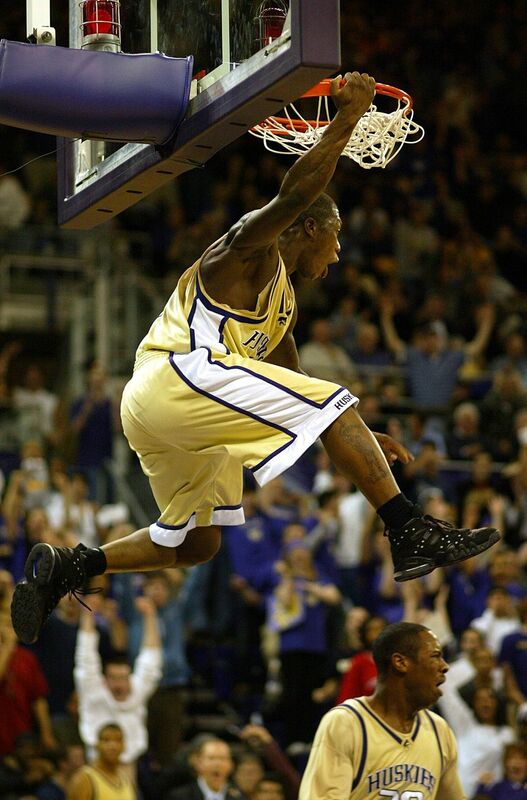 Down 10 points with five minutes left at Oregon State, the Huskies were staring at an 0-6 start in the Pac-12 before Nate Robinson hit a game-tying three-pointer at the end of regulation. UW came back to win 103-99 and won 12 of its next 13 games to advance to its first NCAA tournament in five years. The Huskies led by two points before Stephen Thompson Jr. sank an improbable three-pointer in a heartbreaking 82-81 loss at Oregon State. Romar received a Pac-12 reprimand for postgame comments in which he said officials missed a traveling call on the last play. OSU was one of six Pac-12 teams to advance to the NCAA tourney and UW missed the Big Dance for the fifth straight year. Two weeks after the improbable win at OSU, the Huskies added legitimacy to their hot streak with a blowout 96-83 win over No. 9 Arizona. Again, Nate Robinson triggered the victory. The 5-foot-9 guard finished with 31 points, five steals and the play of the game — an alley-oop dunk that had Hec Ed rocking. The game is affectionately known as the birth of the Dawg Pack. The Huskies secured the school’s first No. 1 seed in the NCAA tournament and breezed through the first two rounds before running into No. 4 seed Louisville, which handed them a 93-79 defeat. Quincy Pondexter capped a second-half comeback with a game-winning jumper over Jimmy Butler with 1.7 seconds left to upset No. 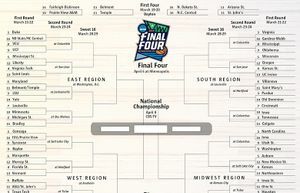 6 seed Marquette 80-78 in the first round of the NCAA tournament East Regional in San Jose, Calif. No. 11-seeded UW trailed by 15 points before outscoring the Golden Eagles 27-11 in the final eight minutes. Making their third NCAA tournament Sweet 16 with Romar, the sixth-seeded Huskies were no match for No. 2 seed West Virginia, which hammered them in a 69-56 defeat and snapped UW’s nine-game winning streak. The 18th-ranked Huskies survived a 43-point onslaught from All-American Adam Morrison and handed No. 6 Gonzaga a 99-95 defeat. It was the 29th straight victory for UW at Alaska Airlines Arena. 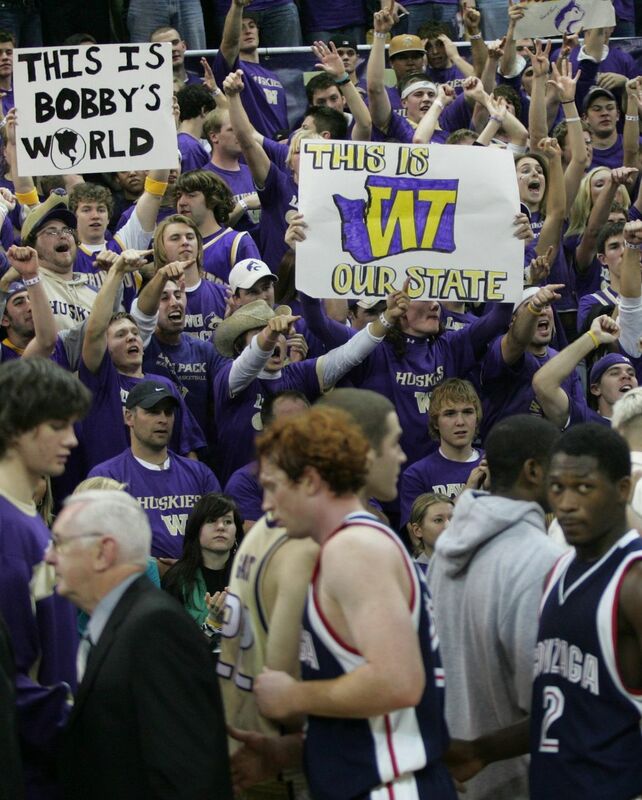 It was also the last time the Huskies would beat their in-state rival. Brandon Roy provided the fireworks on New Year’s Eve with 35 points and two buzzer-beating three-pointers in regulation and the first overtime against Arizona. However, the Wildcats won 96-95 in 2OT, which snapped UW’s 32-game home winning streak. 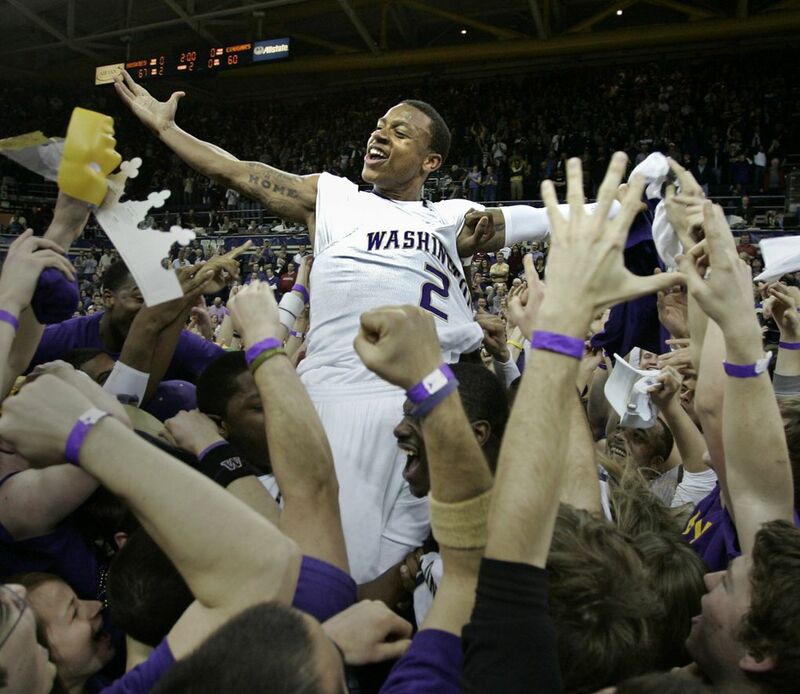 In perhaps the greatest game at Alaska Airlines Arena, Washington upset No. 1 Stanford 75-62 in the regular-season finale. The Huskies handed the Cardinal its first lost of the season and halted its 26-game winning streak. Stanford was bidding to become the first team to go undefeated in the conference. It was the second time UW had beaten a No. 1-ranked team. The 22nd-ranked Huskies traveled north and beat Utah, Oklahoma and No. 19 Alabama on consecutive nights to win the Great Alaska Shootout in Anchorage, Alaska. UW’s largest margin of victory in the tournament was seven points, including a 79-76 win over the Sooners for the title. 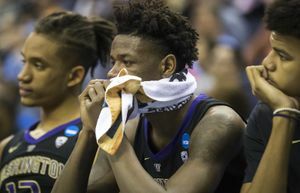 The Huskies culminated a miserable 9-22 season with their 13th straight loss, a 78-73 defeat to USC in the first round of the Pac-12 tournament. Romar was fired seven days later. Bonus | June 23, 2013: Nostalgia flowed as freely as the jumpers during a UW alumni game that drew a sellout Hec Ed crowd to watch a clash of former Husky stars and legends. Isaiah Thomas captured MVP honors in a showcase that featured Brandon Roy, Terrence Ross, Spencer Hawes, Quincy Pondexter, Tony Wroten Jr. and Will Conroy.